This is more of a service bulletin for those who have the same era Ensoniq Keyboards & start having keyboard calibration failures. I ran across a service bulletin that mentioned swapping out main boards in the EPS & that there were steps to take with earlier mother boards vs later model. 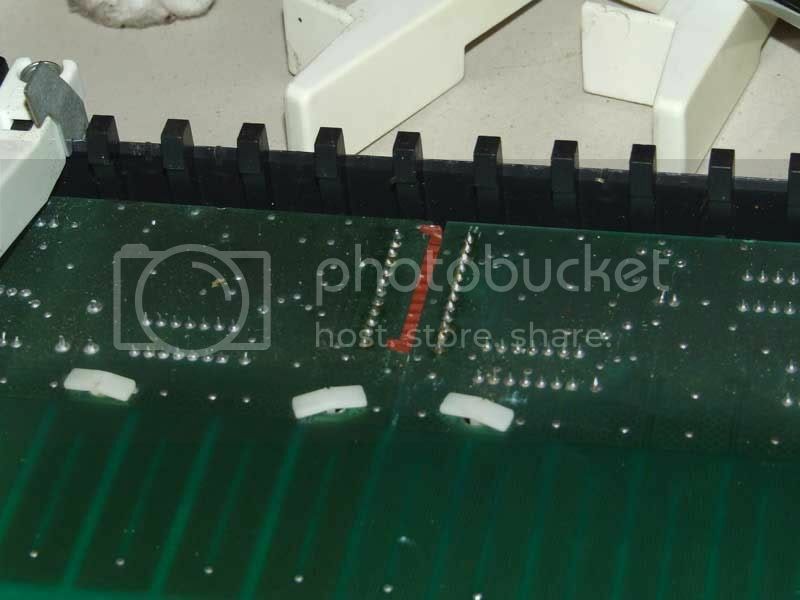 At any rate, they mentioned that the earlier key boards had a poor connection between the contact boards & the it would be a good measure to go ahead & solder a better connection across them. Luckily I ran across this when i did because, when swapping out my main board I started getting a keyboard calibration failure. SO, I pulled the center keys out to have a look. Sure enough, there were little tiny wires soldered across the connection & a few of them had a broken connection. I fixed the connection & everything is dreamy again! So, there it is. I'll mark this post as solved & hopefully it helps someone else, at some point down the road. I documented what the fixed keyboard bridge looks like a few years ago on here. what happened is when played hard, the original keybed bridge would eventually fail. When there is a set of wires across it in addition to the bridge, it has been 'fixed'.